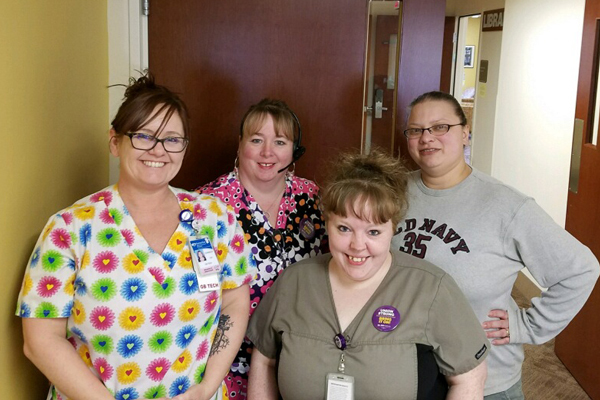 Hospital workers at Albany General Hospital overwhelmingly voted yes to authorize an unfair labor practice strike on Tuesday, May 1. The hospital workers are members of the Service Employees International Union (SEIU) Local 49, which represents 172 service, maintenance, and technical workers in the hospital. The strike vote was the first in the hospital’s history and authorizes the union’s elected bargaining committee to call for a strike if the hospital’s interference with workers’ rights continues to impede progress on their key issues. Negotiations between the union and hospital management began in January and since then, the union alleges that management has interfered with workers’ rights to communicate information about their contract. Workers are concerned that the hospital’s undermining of their union is a part of its plan to force through low wage increases that will cause further financial hardship and leave many scrambling to make ends meet, especially if the hospital also increases the costs of employees’ healthcare premiums. Healthcare, wages, and safety are at the heart of the negotiations. Albany General Hospital is owned by Samaritan Health Services which operates its own health insurance, but the premiums and out-of-pocket costs are a burden for many employees. In a bargaining survey among Albany General SEIU members, 62 percent of respondents reported having deferred medical or dental care in the past due to out of pocket costs. 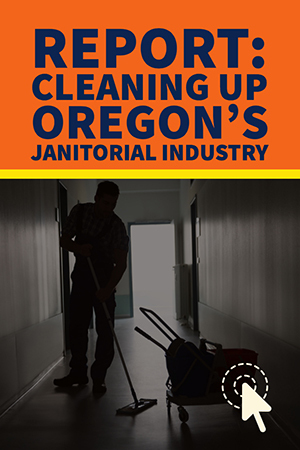 Employees also report having wages garnished, being sent to collections, having liens placed on homes, and declaring medical bankruptcy after being unable to pay for medical care received at Samaritan facilities. Kelli Pape, a CNA II at Albany General, is one of a number of healthcare workers facing financial struggles after seeking required medical care. She suffered a dislocated rib after a patient fell on top of her last June and is currently on workman’s comp. She has been sent to collections twice by her employer over unpaid medical bills. Safety issues are also a key issue in these negotiations. Employees overwhelmingly report unsafe staffing levels, increased workloads, and other unsafe conditions for patients and staff throughout the hospital. Management refused to respond to union proposals addressing critical safety issues, referring employees to a safety committee that meets quarterly but has reportedly been unable to adequately address employee concerns. No additional bargaining dates are scheduled, but union members are hoping to return to the table as soon as possible to make progress on their issues. Contract negotiations are also underway at a second Samaritan Hospital, Good Samaritan Regional Medical Center in Corvallis, and SEIU members are holding a strike vote on May 8.